It's Italian, it's luxurious, it's functional and it's finally here! ELLE Decoration has recently partnered with Dada and Armani/Dada for the Italian company's exclusive Showroom Grand Opening. Tom Castaneda, Associate Publisher of ELLE Decoration said, "there's been a major influx of high quality Italian products into the market in recent years, and we're thrilled to see Dada, a global leader in kitchen systems, in the Philippines, and we're honored that the brand's distributor, Cucina Mobili, Inc. has chosen ELLE Decoration to serve as their exclusive partner to present Armani/Dada to the market." 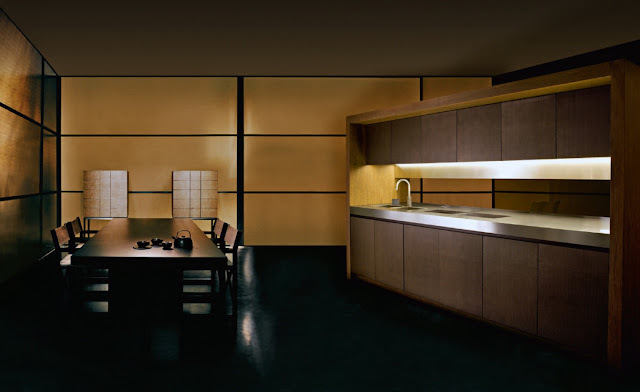 Cucina Mobili, Inc. is a newly formed company dedicated to Italian modular kitchen cabinets from brands such as Armani/Dada. Dada's Business Development Manager, Roberto Curati, and Regional Sales Manager - Asia Pacific, Massimilliano Merati flew in to be part of the special event. 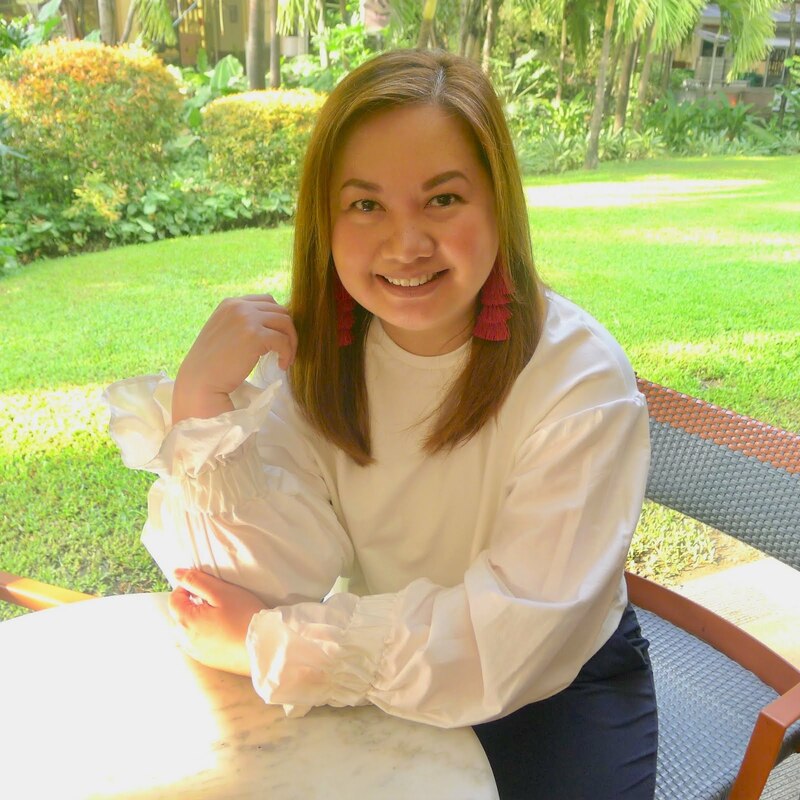 Mr. Merati said, "The decision to come to Manila really stems from our belief that Filipinos have impeccable taste and will come to appreciate the beauty and the functionality afforded them by Dada." Mr. Merati adds that "Filipinos are so in tune with global premium and luxury brands in their everyday lives - from what they wear, carry and aspire for. Why not in the kitchen as well? 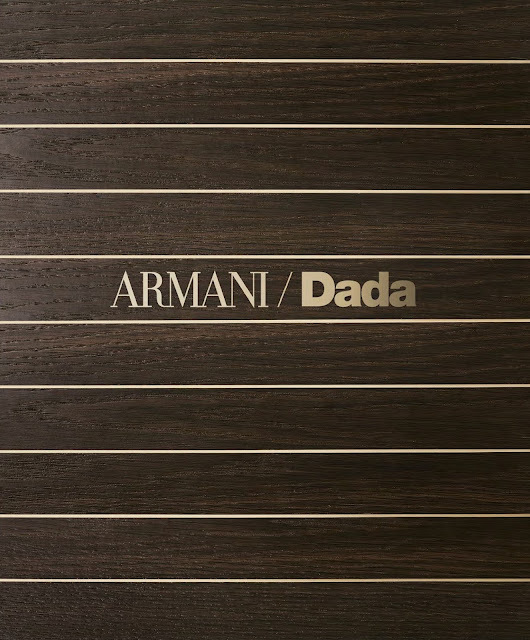 Armani/Dada used to be for the exclusive Armani Residences only and have now expanded and made available to people who desire to have that taste of luxury - of beauty and functionality even in their kitchen." Design and comfort, function and elegance. These are the guiding concepts behind the development of the Armani/Dada collection, created to express the perfection and the excellence of the Armani style to the kitchen. Giorgio Armani's vision of the home as a private, special place, sophisticated and comfortable at the same time, now comes to the working area of the home. The kitchen is interpreted as a highly practical working space which is also pleasant to the senses, capable of transmitting emotions and atmosphere, just like the living room and the bedroom. 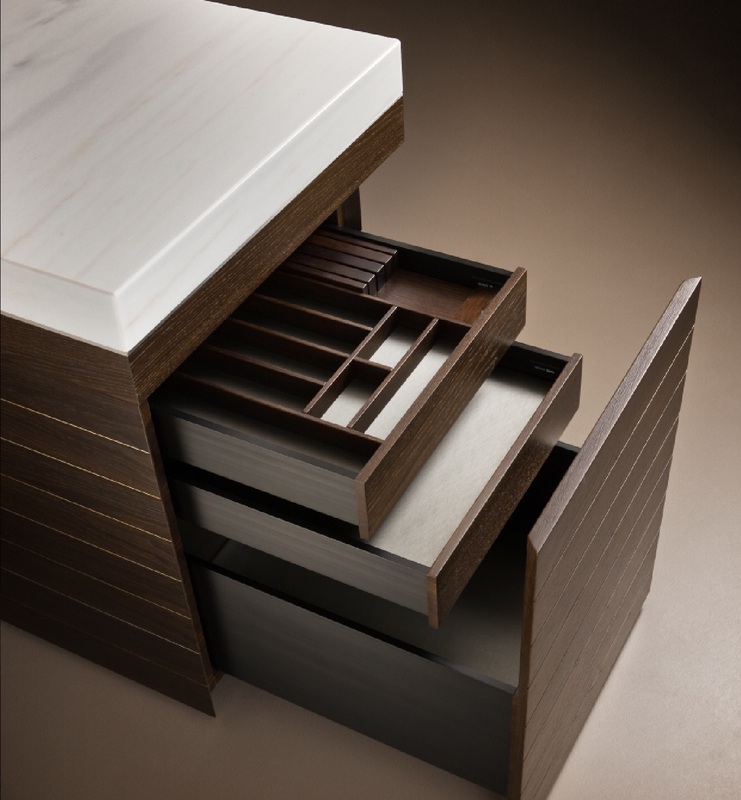 A sliding mechanism allows the cook top to remain hidden under the work top and can become visible only when in use. 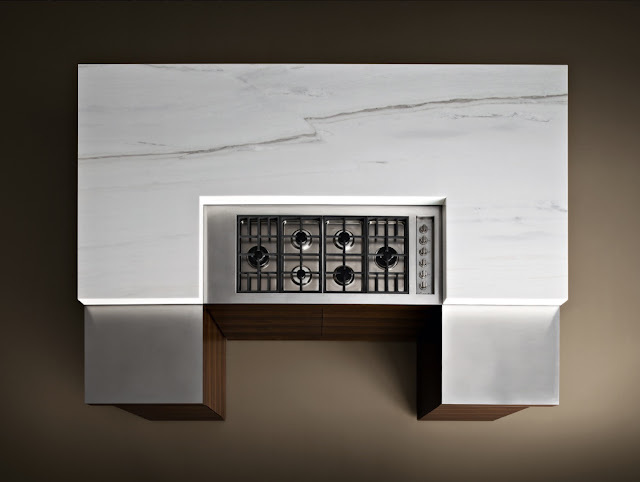 The door panels of the island and the wall-system feature horizontal paneling in sassafras wood with horizontal metal profiles cut into intervals. The wall units, with closed sliding doors and containing equipped shelves and a filter hood, create a checkered composition with severe geometry. The functional elements are hidden beneath the worktop, which covers the kitchen's work area (hob, sink and cutting board), thanks to the gentle horizontal sliding system. Precious natural woods, exclusive lacquers and textured, multilined black-painted glass are combined with the natural stone worktop. The use of materials enhances the smooth surface of the furniture giving it a three-dimensional effect, emphasized by the compositional LED lighting in the bottom of the wall units and under the work top. The kitchen blending with its surroundings - a bridge between the technical area and the dining/living area of the house. Technology is present but never invasive, a simple movement of the partition and the kitchen and the working space of the kitchen island starts interacting with the living area. The kitchen comes with an elegant combination of materials, with stainless steel and natural stone for the worktops, sucupira and oak wood for the structures and interiors, glass lacquered or woven textured bronze for the doors, and lacquered technical fabrics for the facing. Experience the Dada and ARMANI/Dada kitchen systems at the Cucina Mobili, Inc. Manila Showroom located at the Ground Floor, Unit C, W Building, 5th Avenue Bonifacio Global City, Taguig, Metro Manila. For inquiries, send an e-mail at inquiry@cucinamobili.com.ph or call (+63-2) 894-4292 or (+63-2) 893-4076. For more information on ELLE Decoration, visit www.summitmedia.com.ph. Follow @ELLEDecoPH on Twitter and Instagram and ELLEDecorationPH on Facebook. ELLE Decoration is available on newsstands and in bookstores, convenience stores and supermarkets nationwide. A digital edition is also available for download through Apple Newsstand, Buqo and Zinio.